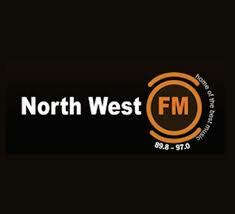 North West FM Listen Live Online . It broadcasts in English and Setswana . Officially launched in 2008 as the home of the best music . The fastest growing & only commercial radio station in the North West province. It is Leading vehicle of communication-Local & International news, entertainment and breaking news.